As the Head of the new Technocratic Branch of Government (which is a Transnational Authority reigning above the National Authorities) which includes the U.N. as well Monarchies such as The Vatican: I give you The Official Bibliography Of The Illuminati. Came up with the Secret Grand Unified Field Theory of Everything which they graphed using Calligraphy Monks Ink on Graphing Paper & included in The Codex aka The Devil's Bible. what Morris Ketchum Jessup discovered or wrote. It being seen 300 miles away was was a holographic projection, an illusion. It also had residual effects that screwed with radars in Bermuda causing pilots to get lost and crash after fuel ran out. All atoms are causally connected by the gw ripples or inter atomic charge carried by the photon aether, that's why contact with humans not on the USS Eldridge stabilized the molecules of the sailors that got ****ed up by the experiment. Inside the earth's atmosphere all photons are inter-atomic, that means blueshifted or negatively charged between proton & electron this redshifts the vacuum and causes celestial bodies to drift away from one another, (expansion) the green flash after they activated the large *** Tesla-coils under Einstein's UFT indicates the warpage of the light around the destroyer via neutralizing the charge of incoming photons about the collective electron shell of the atomic constituents of the destroyer (torsion). This was a mishap as the small scale proof of concept experiment done prior to the full-scale Philadelphia Experiment only achieved radar invisibility not optical invisibility. UFO also meant Unified Field Oscillations as per the early to mid 20th Century but misinfo agents & shows like the Twilight Zone often miss-associated it with Unidentified Flying Objects, Alien Saucers that looked like one of Tesla's EM hovercrafts that utilized Unified Field Oscillations. & never again use the word quantum in this thread. Bell, Born, Planck, & Feynman were misinfo agents. Einstein merely understood & interpreted some of the ancient maths held by the Vatican & the Free Masons using a pre-Newtonian higher dimensional rank 12 spherical coordinate root system. 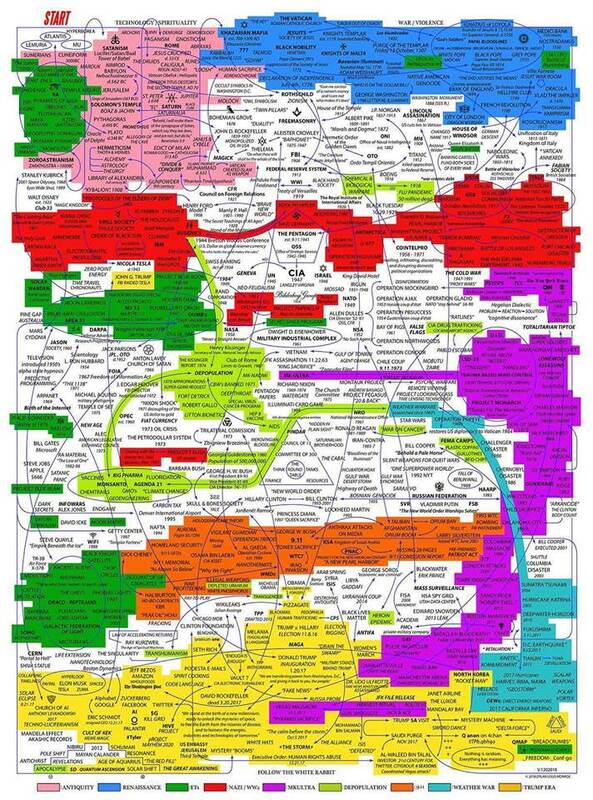 The 1% often used Jewish people (superior to Asian intellects being descended from the Neo-Sapien Nephilim people that the Sumerians worshiped) to help make certain technological advancements by deciphering the old rank 13/David Star Creation Snowflake which was spread out in Sumerian, Egyptian, The Torah, & Ancient Greco-Roman and even Latin numerical systems & pre-scientific notation at that time. Alright, so Christianity began as a political movement. Jesus was never actually a person, the Romans did however crucify Hebrews who were, at that time, considered as an inferior race. However, now the Holy See views it's followers world-wide as an inferior class of denizens. 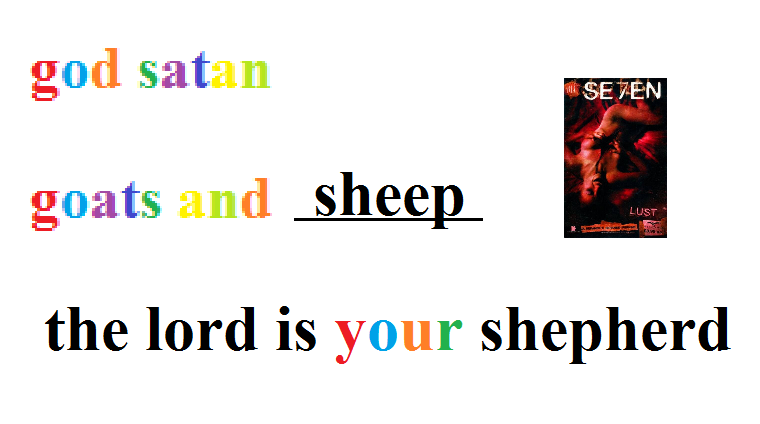 "If you took the letters in the names God and Satan, the only two coherent words you could spell other than God and Satan would be 'Goats And', whoever was responsible for translation of the tetragrammaton names for these entities YHWH and NEHS, respectively, cleverly warned that we would become "Like Sheep" to the upper echelon"
In the 1980s the Holy See & the United Arab Emirates form close ties. In 2001 the predominant global superpower invades the middle East, then out of no where the world's largest postmodern skyrise emerges in Dubai, where gold-plated Bugatti's are driven around by the affluent for show. The RCC started making only thousands annually 1500 years ago, today the See of the Pope makes trillions annually. Never has this religious society been taxed for this wealth, as the Vatican is it's own nation-state. During Ahmad Shah Durrani's time the Pope had more power than the Kings of England, France, & the Emperor of Spain combined. The Knight's Templar were their double agents, with good enough detective work these Templar probably, most likely, found where Ahmad Shah Durrani's treasure was buried. Hundreds of years of gold horded by the Mayans, miles of caravans just to transport it, put an extra 138 billion dollars in adjusted wealth on Mansa Musa's net worth. A thousand years later, the Holy See could have turned that half a trillion dollars in half a quintillion, considering the fact that on their own they could have amassed tens of quadrillions of $USD just from 1500 years of donations to the Church made worldwide. Generations of the rich have granted their moral authority more wealth than God. Enough wealth to buy America & China, which they've already done so. 150 billion was spent on purchasing our youth via hospitals (which I've experienced first hand still prescribe chemical lobotomies in the form of anti-psychotics such as geodon, invega sustenna, etc & barbaric ECT treatments) & schools (where wealthy preps are trained to treat the less wealthy like trash & where the less wealth are trained to get over it - whilst everyone is trained to conform & either go to prison, join the workforce, or serve in the armed forces). Suffice it to say, the Catholics pose the greatest threat to human kind. The ER bridge and EPR entangled set appear equivalent to me but language purists may differ. However, the Einstein-Podolsky-Rosen effect was not quite "predicted" by the trio. The EPR effect was a thought experiment used to demonstrate the impossibility of action at a distance but it was invalidated the experiments of Bell and Aspect shortly after Einstein's death so Einstein's prediction was the opposite of what it is now taken to be. Bell's theorem was an intentional lie though. The Holy See has the not-so-smart physicists on their payroll or indebted to them. How many academic puppets were behind QM? QM was designed to preserve the Holy Big Bang Theory, just like the LCDM now is preserved despite no new evidence for, & stacking evidence against, it. The Holy big bang theory (which is so random that it causes one to consider the reality of a Judeo-Christain God) had it's advantages for the See of the puppet Pope. The See gave the Belgian Catholic priest Georges Lemaître his PhD, taught him the tools to use redshift for his big bang model model in 1927 using agents in the tax-giving institute for learning in which he rose to power. We're talking about a nation-city (Vatican) that's had it's hands in the pockets of all the nation's of the earth for 1500 years. Globally, they own thousands of intelligence bureaucracies because they are the moral authorities of our communities. The rich have donated more wealth than God to the R.C.C., which controls the other religions & Churches like a Robber Barron monopolizes industries. Here's the funny thing, King James himself believed that if you practiced the Christain religion, then you're a fool. The letters of Satangod can only be rearranged coherently into "goats and". That's King James basically using his ability to rewrite the Bible for translation in order to call his subjects "Sheeple". Ouch! Nothing happens in the world that they didn't plan out decades in advance. For instance, all the unpredictable events of modern society can be reduced in the planning stages by the implementation of procedural regulations within whatever monetary institute was designed to quarantine free thought. There was something there, Einstein as well as William James Sidis knew about it, they were the only human beings capable of predicting the existence of black holes. WJS was actually shaped by his parents according to the structure of Einstein's brain, the only brain of a physicist ever studied without permission post-mortem. WJS had to undergo psychosomatic reconditioning to rediscover & complete the subject Einstein had left behind before they could test it, the reverse universe was confirmed in that experiment. Leading to this, that, & another, all realizations hidden by a legion of puppets. Bell, Schrodinger, Maxwell, Feynman, Bohr - & to cap it off was MAX BORN. Max Born was born in Breslau, Germany, on December 11, 1882, into a family of upper-class Jewish academics. But you can always find traces of the real steady-state model online, which is what the LCDM was a front for. Which was made only in classical mechanics, mainly by Einstein & Sidis. Einstein had conscious contact with something, Sidis' psyche was purposefully developed to match the phrenological structure of Einstein's autopsied brain. Their ages match, Einstein was dead a few years when Sidis was being worked on in John Hopkins, when he wrote the Animate & the Inanimate. The R.C.C. has enough wealth to build networks of transcontinental, subterranean vactrain systems that run at 800 mph at 2% of the energy requirements of an airliner. Enough to tap into the immense resources of gold, silver, & platinum embedded in the mantle of the earth during it's formation without telling anyone. With that much gold & silver one could build a city that's goes from halfway into the mantle up to ~5 miles beneath the sea floor. 12000 cubic furlongs, with a city like the tip of an iceberg ascending from the surface of the Earth's crust which they'd refer to as New Jerusalem. Real. It's there in Wiltshire, England, freely available for anyone to drive past or view on Google Earth. Porton Down was formed during World War I, a time when wars were fought with poison gas. Their main focus was to develop gas mask technology, and to create better ways of deploying gases against the enemy. Such horrible weapons as mustard gas and chlorine were routinely used here. Porton Down's darkest legacy, and the main reason for its reputation, comes from its cold war years. At the same time that the Americans were experimenting with LSD in the MKULTRA program, Porton Down was doing the same, administering LSD to servicemen without their consent, in an effort to develop mind control and interrogation techniques. Human experimentation was also done, resulting in at least one death and a number of later lawsuits, using the nerve agents VX and sarin, and the endotoxin pyrexal. That small subterranean infrastructure was built almost a century ago under false pretenses & has since expanded enormously. It's already burrowed deep into the early, but it also connects to the United States right here. The vactrain runs from the south eastern Nevada to central northern England as future transportation routes for the ungodly amounts of platinum, silver & gold mined from the earth's mantle from an ungodly subterranean infrastructure, & culminated with geothermal vacuum-energy augmented fusion reactors for the construction a vertical & horizontal 1,500x1,500 mile city that's embedded 1,500 miles deep into the earth made entirely out of gold & other precious metals/gem stones. There will be plenty of water to go around when the sun starts dying & it's inflated surface boils the oceans. I used the distance from Vatican City to Dubai to get a rectangle with a width of 26 hundred or so miles, shrunk it to a square of about 12000 furlongs. Notice how they build skylines in Mecca & Dubai, or Egypt, or Tehran, etc - they are linear skylines, lines. These are the city gates, like the walls. As I explained the city his going to have thermal reactors at its base that go deep into the mantle, 1500 miles into the earth. So this city of New Jerusalem will be mostly underground. By 3000 AD the seas within that square will have been completely depleted, that's why they're constructing underwater buildings in Dubai & Doha. That's what Ahmad Shah Durrani's treasure, 1500 years of donations to globalized monotheism, opaque conquest of the globe via bureaucratic diplomacy, & secret technologies are being used to construct. It basically is a super-weapon, it can strip the government owned surface dwellers (we nationalized denizens with no voice, aka, sheeple) of their natural resources as it arises (literally) in the form of an emergent & exclusive underground super-nation-city built by nobodies for the descendants of some pretty sick vampires that used monotheism to get ahead in this world. Please address these serious issues point by point instead of labeling them. Thanks. Edited by Super Polymath, 07 October 2018 - 03:18 PM. Why are there still police? Why is there still a price tag on stuff. I order you to disband the police force & remove price. I know that my behavior is not appropriate for the Prince of The Illuminati but I'm serious I want a technocracy made official or I will start asking my neighbor what they think about the fourth technocractic branch of government until someone gives me a billion fun coupons. I want to speak with Donald Trump face 2 face on the Eric Andre Show. Literally. Seriously.
" , but then again YouTu are just a cookie cutter and would have just copied something out of date off Wikipedia "
cookie cutter huh, It is easier to post a link to a subject already adequately explained than go over it, and rewrite it line by line, selecting just the bits you like. You will be aware that religion is based on fairy stories. The terms good and evil are religious concepts that can be ascribed to anything you like or dislike, if you believe. These terms are used in times of war to direct armies against each other ie to manipulate fools, that can not decide for themselves. If we cross out your references to good and evil as irrelevant what are you left with. I've done a bit of googling on free masons for mild amusement, to be a free mason you must believe in a god, type of god does not appear to matter. If you wanted to be President of the united states you would have no chance unless you are a free mason. All presidents of the united states have been free masons. If you want to do well in the police force, or in the politics in the UK, joining the free masons would help your career especially the conservative party, although I suspect Blair got along so well with George Bush and believed everything he said, must have been a mason also. The scottish right of free masonery did a recruitment drive in UK universities a few years back, they probably are still doing it. Free masons around the world are in many positions of power, Donald Trump for example is an example of the type of persons they recruit. Both men and women can become freemasons. Some groups of free masonery have strange indoctrination rights that they dont like to talk about, in case people laugh at them perhaps. Freemasons are rumoured to be responsible for all manner of things in the world. Likely they are because they occupy many of the positions of authority and may control the IMF. The labour party in the UK was going to insist that members of the police force should not be free masons, they dropped this from their policies once they found out how ingrained freemasonery was in the police force and judiciary in the UK. Have you ever thought of improving your career prospects and joining the freemasons If not why not.